The Marriott Delray Beach Hotel in Florida where Simara was leaving to go to her reception at Congregation B'nai Israel in Boca Raton. The Marriott in Delray Beach is a popular wedding venue for brides having their wedding in South Florida. 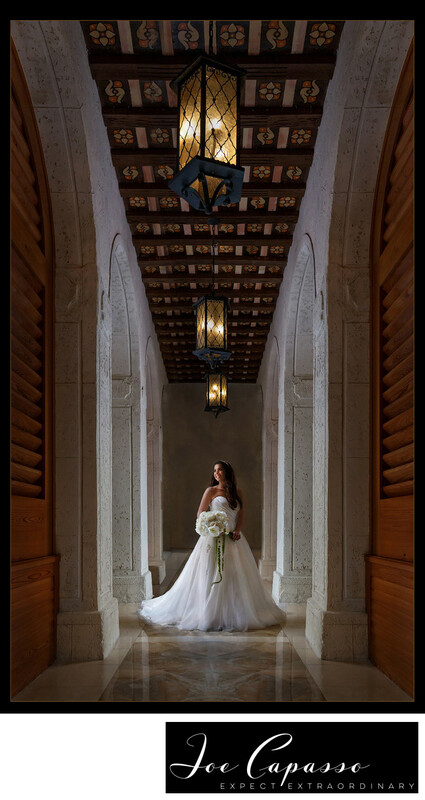 Joe Capasso often photographs Marriott weddings in South Florida including Boca Raton, Miami, Ft. Lauderdale, and Naples, Florida. More Boca Raton weddings can be found throughout the gallery and blog section of the website including Simara and Jordan's wedding. Simara and Jordan picked two popular Florida wedding venues for their big day - both the Marriott Delray Beach hotel and the Congregation B'nai Israel in Boca Raton. 1/100; f/4.0; ISO 1000; 20.0 mm.